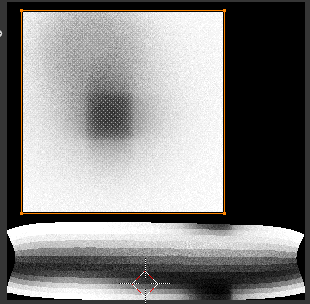 After the "UV Unwrapping" we have multiple textures (plane and torus). 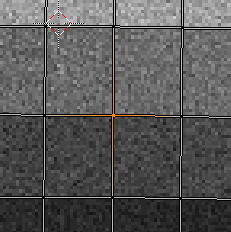 It might be interesting to have a single texture with multiple maps in it. 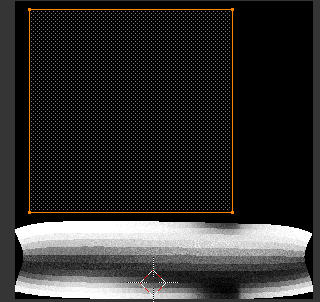 This section shows on how to achieve that by merging the "torus" and the "plane" map into a single texture. We are going to get a small introduction into editing the uv coordinates to get a bit of a feel what's possible. Select a shape in "object mode" (for example the torus) and switch to "edit mode" again. 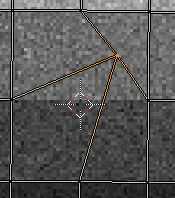 To show you that you can manually edit the uv coordinates, try selecting a vertex in the uv window and press "G" to move it around. Press "esc" to abort the action.